Republican Sen. Pat Roberts, left, and Greg Orman walk to the stage before a Senate debate in September in Hutchinson, Kansas. If I had said two months ago that Republicans would have a better than 70 percent chance to win the Senate races in Alaska, Arkansas, Iowa and Louisiana, you’d probably have thought the GOP would be on cruise control to a Senate majority. Yet, while those states are leaning toward the GOP, Republicans are only slight favorites to win control of the chamber. Orman’s latest bit of good news came from a SurveyUSA poll released Tuesday. It showed him ahead of Roberts, 47 percent to 42 percent. Such a result in isolation would warrant skepticism, but it’s another piece in a streak of good poll results for the independent. Orman has been ahead in seven of the eight polls to test the Orman vs. Roberts matchup (without Democrat Chad Taylor, who dropped out of the race, on the ballot). The only poll not to show Orman ahead was YouGov’s most recent, though it has consistently shown results more favorable to Republicans in Kansas than other pollsters have. The bottom line: Orman is ahead. In the month since Taylor asked for his name to be taken off the ballot, Orman has consolidated Democratic support, garnering as much of the vote as Roberts does of the Republican vote, according to both the SurveyUSA poll and a Marist College survey released last weekend (the Marist poll had Orman up by 10 percentage points). With Orman’s lead, why doesn’t the FiveThirtyEight model give him an even better chance of winning? The electorate in Kansas is unusually fluid for such a competitive race. We’re only a month into this campaign, and the race is still developing. We can see this by looking at the Marist poll. Only 43 percent of Kansas voters strongly supported their preferred candidate in Kansas. In Kansas’s gubernatorial race, it’s 55 percent. In Iowa’s Senate race, which Marist polled at the same time as the Kansas election, 57 percent of voters strongly supported their choice. In North Carolina’s Senate race, it’s 50 percent of voters. The FiveThirtyEight model shows something similar. There are more voters unattached to major candidates in Kansas than in the average competitive race. Our model has the two (or three) major candidates in competitive races adding up to an average of 89 percent in the now-cast (a forecast as if the election were being held today). 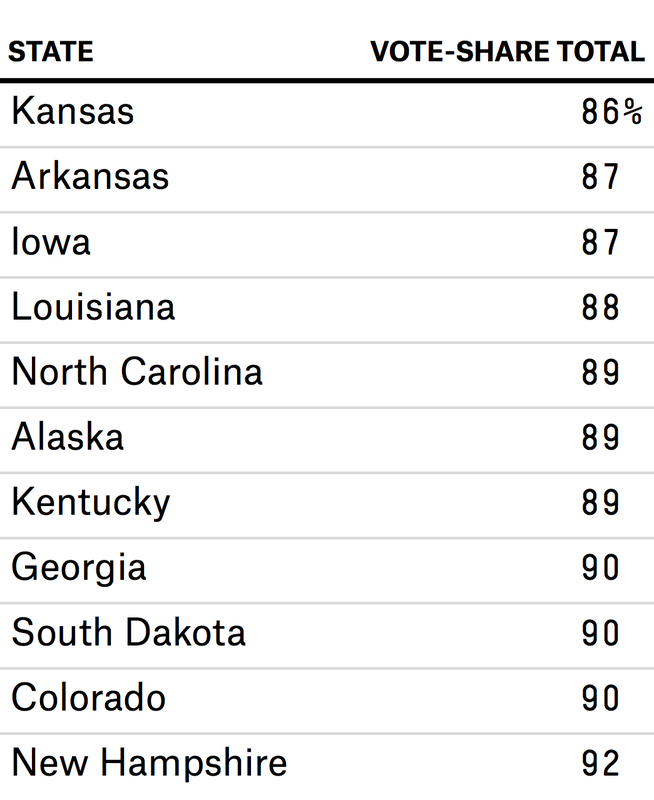 In Kansas, it’s only 86 percent. There are more potential voters for Roberts to build himself back up. There are also faint hints the race has tightened in the past month. Orman led by 5 percentage points in an average of the most recent three surveys (adjusting for house effects). Polls conducted earlier in the campaign had the race closer to a 10-point lead for Orman. And though the data is noisy, the 42 percent Roberts earned in the SurveyUSA poll is the highest he’s been in any survey so far. Put together Orman’s lead and the high level of uncertainty, and our model forecasts Orman to win his race two-thirds of the time. Those are the best odds he’s had this campaign, but that chance is also 10 to 15 percentage points less than other candidates who hold leads of about 4 to 5 percentage points (as Orman does).